Today marks the birthday of my late teacher and fellow lineage holder, His Holiness 14th Kunzig Shamar Rinpoche. From the day he was born, Shamar Rinpoche dedicated his life to preserving and strengthening our Karma Kagyu lineage. 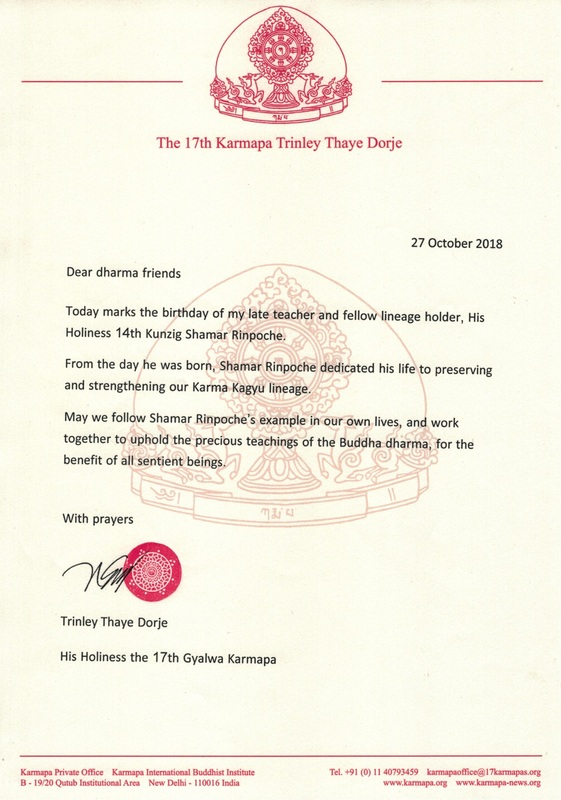 May we follow Shamar Rinpoche’s example in our own lives, and work together to uphold the precious teachings of the Buddha dharma, for the benefit of all sentient beings.